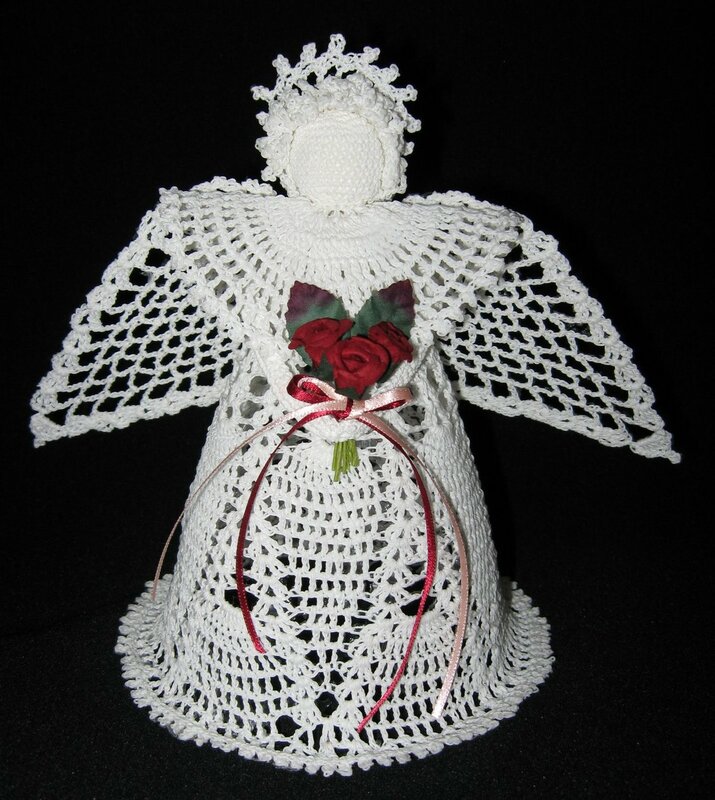 A classic hand-made crochet angel in off-white colour. He looks a little plumpy, but still very charmful. A bouquet of three burgundy roses with a ribbon gives the composition a focal point. The angel is stiffened with potato starch, that makes it rigid. Perfect as a house decoration for Christmas time. The potato starch stiffening solution is very easy to make: take 2-3 tablespoons of potato starch, mix it with some cold water, in the meantime bring to boil about 0.5l (2 cups) of water. When it’s boiling, mix it all together (you have to stir quickly). Let it cool down a bit and then soak the product in the stiffening solution. This mixture is very thick and it’s great for product that have to hold shape, for example angels. For lighter products, such as doilies, you can use a lot less potato starch.